I used a recipe that I found on the American Heart Association website. 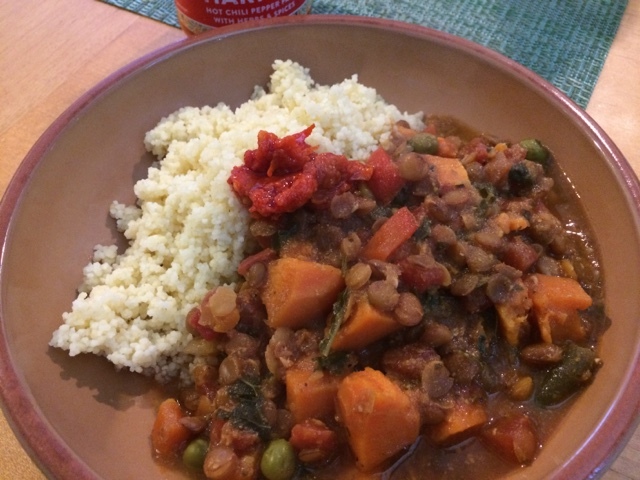 I vary mine a little.,It basically has brown lentils, veggies, sweet potato, broth, tomatoes, garlic, onions and spices such as ras el hanout, cumin and hot curry powder. 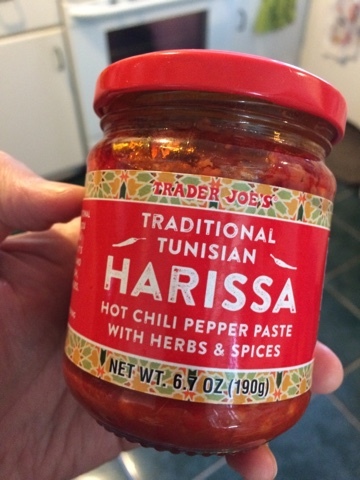 Recipe below as I found on the website except I add ras el hanout along with the spices. Also added lots of salt, pepper and soy sauce to season!!!! Very important! Heat a large saucepan over medium heat. Pour the oil into the pan and swirl to coat the bottom. Cook the onion for 3 to 4 minutes, or until translucent, stirring frequently. Increase the heat to medium-high. Stir in the cumin, curry powder, and cayenne; cook for 30 seconds to release flavor. 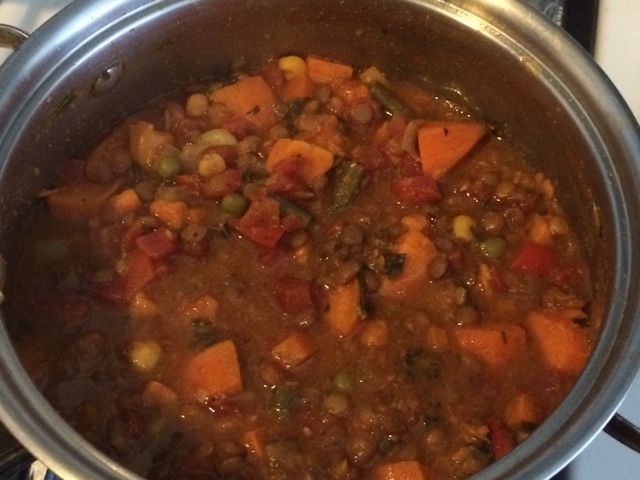 Stir in the tomatoes, potatoes, broth, lentils, and carrots. Bring to a boil. Reduce the heat and simmer, covered, for 30 to 40 minutes, or until the lentils are tender, stirring occasionally and adding more broth or water if needed to keep from sticking. Stir in the peas; simmer for 1 minute. Remove from the heat. Stir in the parsley. Oh! Hello! Sorry it's been so long since my last visit and comment! I re-worked my blogroll and I added you again so maybe now I won't lose ya again!